PS3 game giveaway time. I’ve got a very varied mix going off over here. 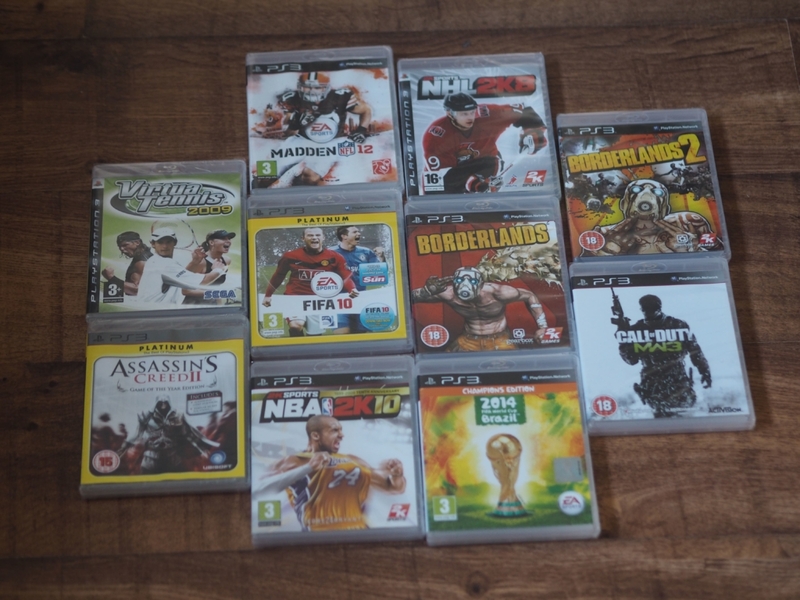 It’s heavily weighted on sports games, but I balance it out with some others from the other end of the spectrum too. I went through each and every one of these to see what the Amazon prices were saying. Together, this is all worth £90.